None of my usual Doberman Dan “banter” today. I have something very important and urgent to share with you and I need to cut to the chase. A lot of business owners are struggling right now. And if something doesn’t change soon, many of these business owners will not even be in business next year. And that bothers me… especially because it doesn’t have to happen. See, for most of this decade many biz owners were doing pretty well with even just mediocre marketing. That all changed in 2008… and the mediocre marketers started dropping like flies. But there ARE a small group of business owners prospering right now in spite of the bad economy. These are the business owners who know a few simple techniques and secrets, when done correctly and consistently… can cause SUBSTANTIAL increases in your sales and profits. And if YOU want to prosper and grow your business nowadays, it’s CRUCIAL you discover and implement these secrets. If you run ANY kind of business… online, offline direct response, freelance copywriting, consultant or you own a traditional brick & mortar business…it’s CRUCIAL you attend this FREE teleseminar. You’ll discover some quick-to-implement secrets and techniques that can boost your income FAST. I’ve found most business owners are working themselves silly to only make HALF (or less!) of what they were making just a few years ago… while unknowingly stepping over low hanging $100 bills that are just BEGGING to be grabbed. 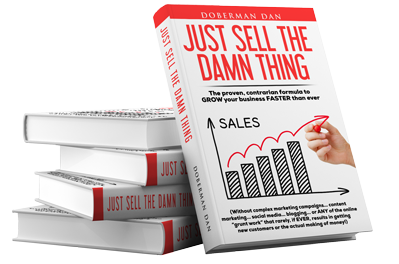 I’m going to show you how to grab that low hanging (and profitable) fruit… quickly and easily. My co-host for this free teleseminar is Mr. X from my recent seminar in Orlando. Mr. X, aka Markus Allen, is going to reveal the jealously guarded secrets of some very successful “under the radar” online marketers. This is stuff you can easily add to your internet marketing arsenal to DRAMATICALLY multiply your online sales. Markus showed me just one of these secrets a couple days ago and I was utterly mesmerized. I discovered a HUGE gaping hole in my website, leaking THOUSANDS of dollars… and I was completely unaware of it. Just this one little tweak Markus showed me is going to provide a nice little five-figure raise next year… and it took me all of five minutes to implement it. And that’s just one of MANY things we’re going to share with you. If you want to get more customers, make more money and GUARANTEE 2011 is your most successful year ever… you simply CAN’T miss this FREE teleseminar. Next post: Help… I’m An Addict! Previous post: The Secret Really Works!